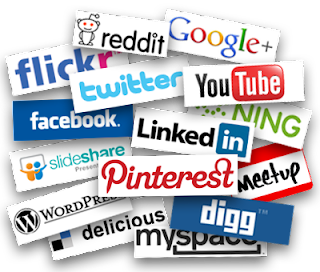 There are a number of Social Media Networks and millions of people are using these networks. And all the people come here to get different results from their efforts. Although, there are many social media networks to reach out, not a single network can meet all the requirements of its user. On the other side, it is also difficult for an internet marketer to understand all the requirements of his clients, customers and fans on a particular network. The search engine can only show the trends of users on different networks. Analytics is very important for you as a business owner, so study these types of social media users to become a successful internet marketer. There are so many people who only come on Social Networks just to post something, they simply fill it on their profile and forget it. Basically, these people are not particularly familiar with social media or probably, may not understand the power of Social Media. And this kind of user cannot get anything from Social Media. Newbies take the social media seriously but also come and fill it on their profile and forget it. This kind of users knows the importance that social media may have for their business. They also understand that social media can help them to promote their business online, but they cannot get desired result because they are also uncomfortable with social media. This type of social media users don’t get involved in different social activities. They will post some information but their presence remains silent. They just watch out the activities of other users and don’t share too much information regarding their business. This type of social media users are very impressive and share almost everything regarding them and their business. They love to share graphics (images) and have influence over their group and crowd. They also share information about different brands and follow other users’ brands. Mostly, they create strong online relationships with each other and they are very happy with their online interactions. These users are supreme in their social media activities. They quickly interact with every person and express themselves freely through social media. They are the users who want more relationships on different social channels and want to be the first one in any discussion. They are very comfortable talking about different brands and share information about different businesses. They are the people who are getting the real reward of social media activities. To achieve the reward of your Social Media come here with broad mind and accept things with clean heart. Interact with all of your fans and share only the things that users want to see. Customize the needs of your business and focus real audience of your industry to get maximum outcomes of your social media activities.